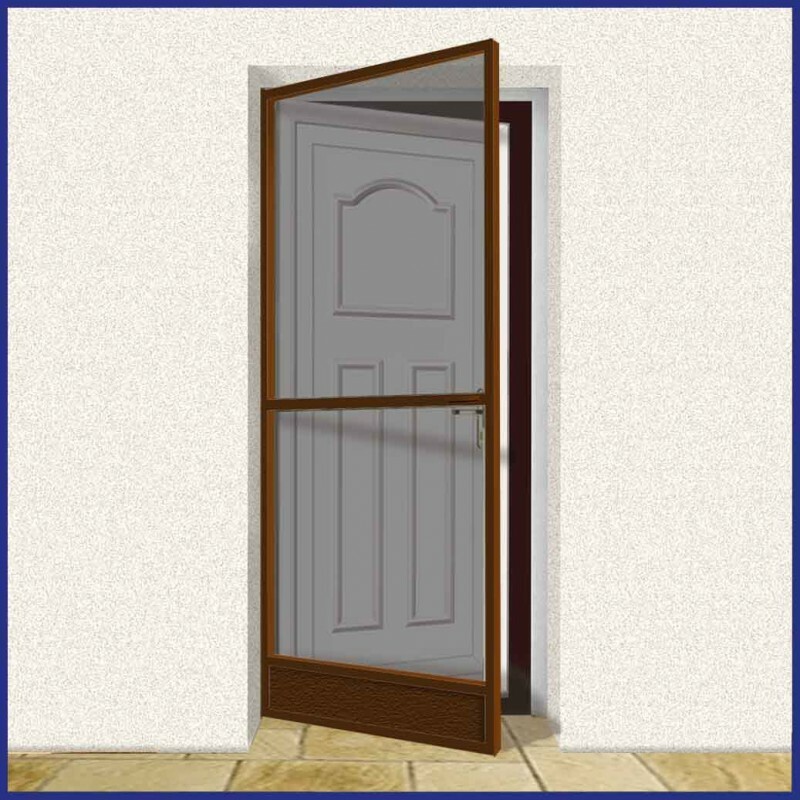 Elegant hinged door screen, which face fits, inside or outside to the existing frame, or to the wall outside the reveal. If your door opens out the screen will be fitted on the inside and vice versa. 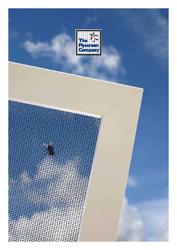 Choice of white or brown powder coated aluminium, with grey insect mesh as standard. 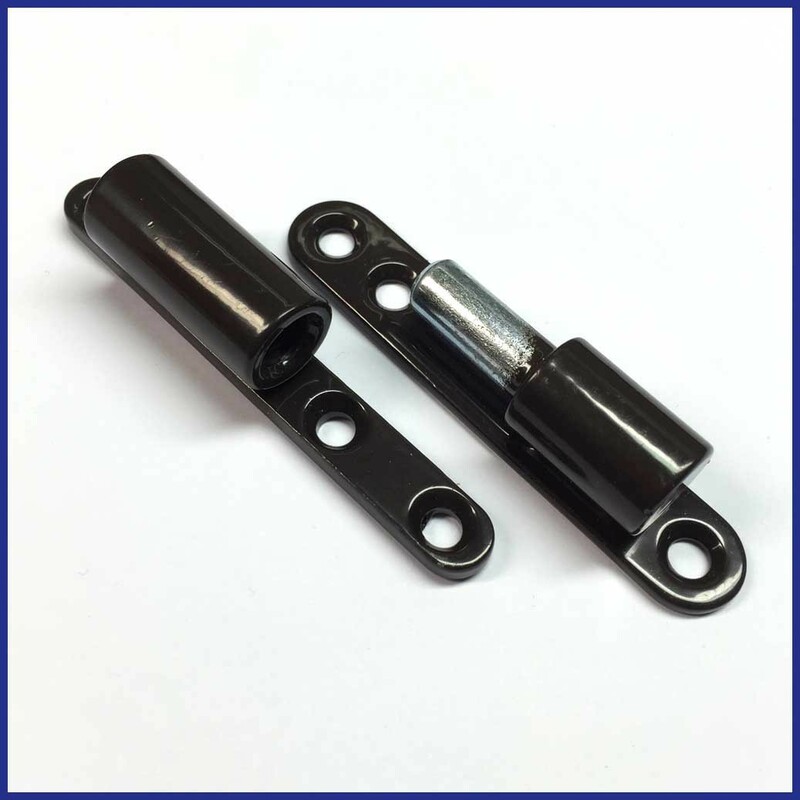 Supplied with a single mid bar and a kick plate at the bottom to protect the mesh. 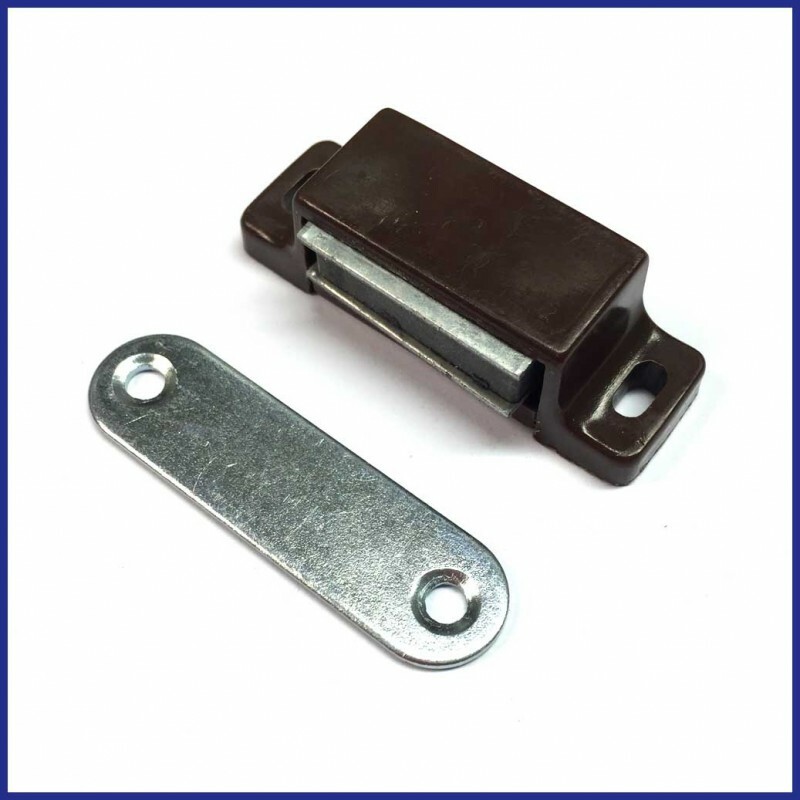 Although this is a budget solution suitable for domestic and light commercail use the powder coated aluminium profile is of high quality. Easy access through the doorway. 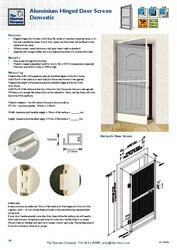 DIY Kit (for you to make and fit) Maximum size 920mm wide x 2100mm high. Also available as Made to Measure (supplied ready for you to fit). An industrial heavy duty door screen is also available - please contact us for further details.